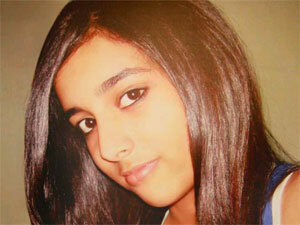 AstroSage Magazine: Who Killed Arushi Talwar? Arushi murder case is an old story, but it is not cooling down anyway. In this case, the saddest part is – not only parents lost their only child, but also they are suffering the pain of defamation since years. We are sympathetic toward them. I wish Arushi’s soul rest in peace and this case gets solved as soon as possible. Also, the parents of Arushi get justice. Many of my students as well as well-wishers asked me to write on this case. But, I kept on dodging it. I still remember the day when this incident occurred; I was teaching Astrology to some of my students. My students requested me to take this topic into consideration through the medium of Astrology. At that time also, the results were same (as we are going to discuss further) by the Horary chart. I don’t remember the time exact time of that horary chart; otherwise would have definitely mentioned. However, the moral of the star’s story is that the Talwar couple didn’t kill Arushi intentionally and they don’t seem to get relief in recent days. Had this case been analysed by Astrology, some amazing facts would have come out. But, it was not possible due to the lack of proper birth details of the individuals’ involved. Hence, the prediction has been made with the help of Numerology taking their names into consideration. 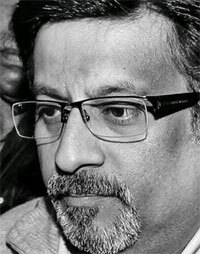 Let’s start with Rajesh Talwar. According to me, he is amongst the most hapless fathers of the world. Not only has he lost his daughter, but has also been getting insulted continuously since years. What does Numerology say in this matter? The value of the word Rajesh is 17 and its total is 8. Also, the value of Talwar is 17, which turns 8 as total. Therefore, the total of Rajesh Talwar is 34, which turns into 7 after final total. Overall, he has the abundance of 1, 3, 4, 7, 8 in his name. Name and surname, both have the conjunction of Sun and Ketu. This turns the feeling of self-esteem into pride, which invites infamy. Total of both, name and surname, is 8 (individually), which is indicating pride and stubbornness. Conjoined name that is ‘Rajesh Talwar’ has total 34, which is conjoining Jupiter and Rahu. In Vedic Astrology, it has been termed as ‘Chandal Yoga’. The repetition of 7 twice in his name is indicating betrayals, whereas twice the repetition of 8 is indicating defamation. As the total of his name is 7, 2008 is considered to be giving him defamation. Total of name (7) + year 2008 (1) = 8; hence Varshank (Number of the Year) 8 is also bringing some obnoxious events. Let’s now understand the indication of the numbers of Nupur Talwar. Total of the word Nupur is 27 and the final number that comes is 9. Further, the word Talwar’s total comes out 17, which becomes 8 as final total. 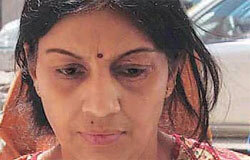 Therefore, total of Nupur Talwar is 44 and the final total number that comes out is 8. Overall, the name of Nupur Talwar has abundance of 1, 2, 4, 7, 8 and 9. Her name has the conjunction of Moon-Ketu and surname is conjoining Sun-Ketu. Conjunction of Moon-Ketu indicates psychological pain and tensions at home. On the other hand, conjunction of Sun-Ketu (that can convert self-esteem into pride) may give her defamation. Total of both name and surname is 9 and 8 respectively. Number 9 indicates both negative as well as positive energies, income by the profession of surgeon, wrath, dispute, skirmish and bloodshed. On the other hand, surname that is number 8 is indicating pride and stubbornness. Combined name that is Nupur Talwar has total 44. 4 is the number of Rahu. Therefore, 2 numbers of Rahu make the number of Saturn that is 8. Hence, the repetition of ‘9 with 8’ is indicating defamation. As the total number of her name is 8, year 2008 was indicating a big mishap for her. And, what can be worse than this in a mother’s life? Total of full name (8) + year 2008 (1) = 9; hence Varshank (Number of the Year) 9 is also indicating some disputes as well as unpleasant events. In Astrology, father is seen from Sun, whereas mother is seen from Moon. In both of these names, we found that total of Rajesh is 17 that is it shows the conjunction of Sun-Ketu, whereas total of Nupur is 27 that is the conjunction of Moon-Ketu is here. It means that such a couple will be unfavorable for the child. In other words, father with afflicted Sun and mother with afflicted Moon cannot become good parents being the couple. Here, the point to be noticed is that this rule will be productive only when the duo will be married. We noticed that both of them had the complete effect of Saturn. Additionally, Ketu and Mars are also effective. Hence, if the murderers’ name is related to Saturn and Mars then these two accused could have hand in the murder. Whether it be intentional or unintentional. For that, we need to analyse the name of Arushi as well as Hemraj. Total of Arushi is 18 and the final total is 9. Number 18 is formed with the conjunction of 1 and 8. In Numerology, this conjunction is known to be giving ominous results and defamation. Hence, Namank of Arushi is 9, which is proving our doubt correct. Total of Talwar word is 17 and final total is 8. Hence, total of Arushi Talwar is 35, which has final total 8. Total of the word Hemraj is 18 and its final total is 9. Number 18 has been formed with the conjunction of 1 and 8. Hence, here also, the conjunction resulting in inauspicious events and defamation is available. The Namank of Hemraj is 9, which is proving our doubt correct. Hence, the total of both of the departed is 18 that is Moolank 9. If this happened by the hands of Rajesh Talwar then this doubt is not baseless. It is because total of the word Rajesh is 17 that is Moolank 8. This number considers number of the departed, 9 as enemy. Hence, it is possible that he would have attacked them. However, Namank of Rajesh Talwar is 7 and this number considers 9 as friend. Hence, with the mixed results of both it can be said if the event was exactly the same as the rumor then Rajesh Talwar must have attacked in fury, but his intentions would not have been to kill them. If we think from another angle that is other than stars and numbers then this father of neoteric thinking will not kill his daughter for at least this reason. Well, the summary is – reports of Noida Police and CBI shows a lot of reality. Case could be anything. This negative result has come out with the conjunction of 2 negative energies of numbers 8 and 9. Look at another painful conjunction – Arushi who was born on 24th date, which has Moolank 6, died on 15th, which also has Moolank 6. In either case, it was the fifth month. Hence, numbers also indicate that Talwar couple seems not to be getting relief from this case as of now.